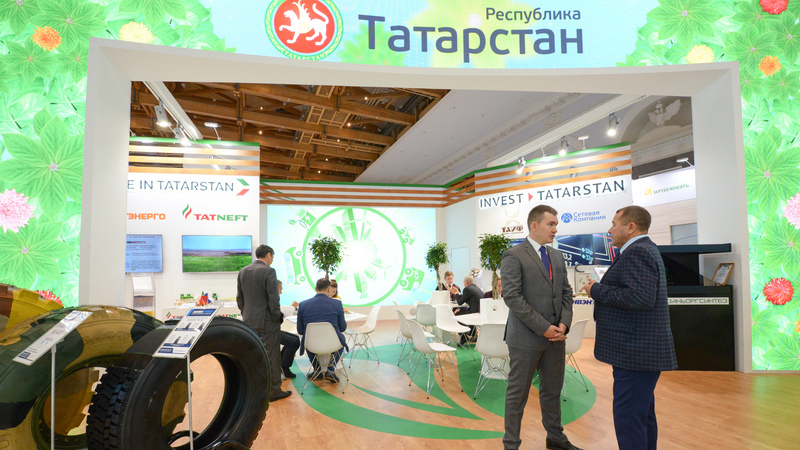 Today, Russian Minister of Energy Aleksandr Novak, Russian Deputy Minister of Energy Anton Inyutsyn, Director General of Rosseti Pavel Livinsky, Russian Minister of Construction and Housing Vladimir Yakushev visited the united exhibition display of Tatarstan at REN 2018. The region was presented by Deputy Minister of Industry and Trade of Tatarstan Almaz Khusainov. The stand at the International Forum represents a single conceptual display consisting of four thematic sections, namely Energy Complex; Energy Efficiency; Oil Production, Processing, Chemicals; Gas Infrastructure. The stand features presentations by major Republic’s enterprises, such as Tatenergo, Grid Company, Tatneft, TAIF, etc., industry’s current status and key indicators, as well as interesting facts about the industry and energy efficiency in the region, demonstrators of enterprises, unique samples of products, scientific developments. The REN’s last day will see the Youth Day to be attended by teachers and students of the Kazan State Power Engineering University. The REN 2018’s Youth Day #VmesteYarche is the main youth event in the field of energy efficiency and energy development, where the best young representatives of the fuel and energy sector and the SMEs gather for a dialog with representatives of industry organisations and leading experts.